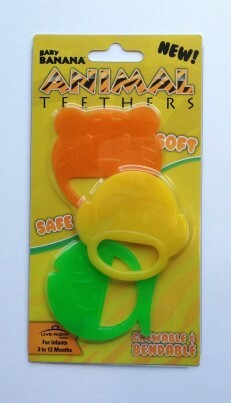 Baby Teether made from soft silicone. Delivery of products ordered from stock will normally be made within 7 working days within the UK mainland, N.I., R of I and Channel Islands. Carriage costs will be charged at cost as indicated on the order and confirmed to the Customer with the order acknowledgement. The Company will use its best endeavors to ensure timely delivery of all orders, but time of delivery will not be capable of being made of the essence of the contract as actual delivery to the Customer will be by independent carrier and outside the direct control of the Company. 1. Definitions. In these terms and conditions the following meanings will apply: The Company means RDT Technology Ltd., whose registered office is at 2 The Pantiles, Ferringham Lane, Ferring, West Sussex, BN12 5NE. Customer means the person or company whose details are entered on any order or enquiry form on this website. Browser means any person accessing and using this website by means of software products enabling Internet connection. 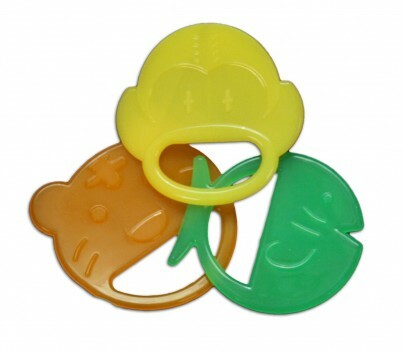 The Website means the website at www.babybananabrushes.co.uk 2. Copyright. The website is owned and operated by The Company and all contents and designs are copyright of The Company and its suppliers or agents. Browsers using the site are permitted limited rights to view and print the contents for personal use only and are prohibited from copying or reproducing or reusing any of the contents or designs in any medium for any other purpose, in particular but not exclusively for any commercial gain. 3. Products and Services. Products offered by The Company, including for sale through The Website, include (Insert description of nature of products or services sold). The company undertakes that all products are of suitable quality for purpose (however Customers are asked to ensure that size, style and colour details are carefully checked before ordering as mistakes may not be rectifiable. Precise colour or specification details may vary from illustrations.) 4. Conditions of Contract. No contract will subsist between you The Customer and The Company for the sale of product(s) or service(s) to you, unless and until The Company accepts and confirms your order in writing or by email. The contract when formed will be deemed to have been concluded in England, UK and will be interpreted, construed and enforced in all respects in accordance with the laws of England and Wales, and will be subject to the jurisdiction of the England and Wales Courts. In the event that any clause within these terms is deemed at law to be unreasonable or unenforceable such clause will be deleted and such deletion will have no bearing on the validity or interpretation of the remaining clauses. In the unlikely event of products being faulty or of sub-standard quality, please report such problem immediately to the Company using the enquiry form or contact details on the website. Goods should be returned together with original packaging wherever possible. In the event of cancellation of the contract, the Customer will be responsible for the safe return, and all costs of return, of the products in an undamaged, unworn/unused state, together with all original unopened packaging. NO goods will be accepted for credit if packing has been opened. Delivery costs will NOT be credited in these circumstances.